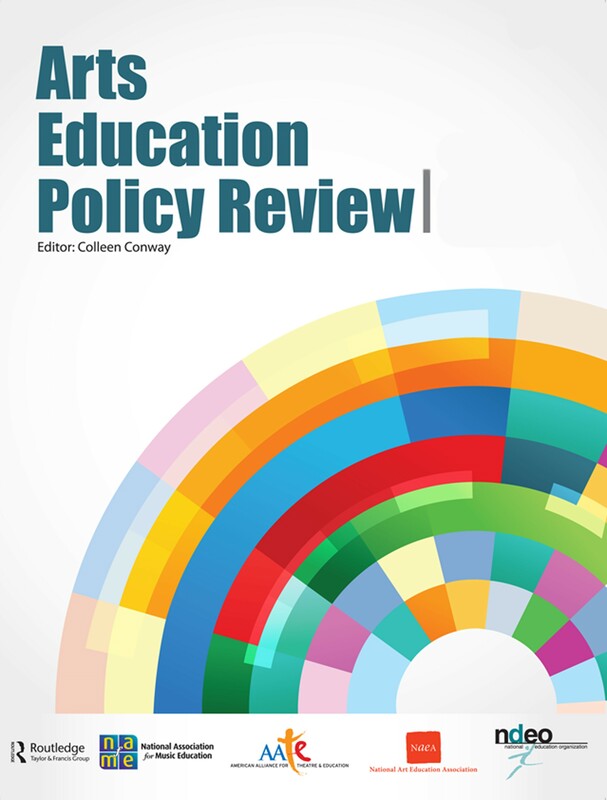 Arts Education Policy Review (AEPR) is a journal dedicated to discussion of major policy issues concerning P-12 education in various arts in the United States and the rest of the world. Addressing education in music, visual arts, theatre, and dance, the journal presents a variety of views and emphasizes analytical exploration. Its goal is to produce the most comprehensive and rigorous exchange of ideas available on arts education policy. The candid discussions from multiples viewpoints are a valuable resource not only for arts educators, but also for administrators, policy analysts, advocacy groups, parents, and audiences - all those involved in the arts and concerned about their role in education. AEPR brings fresh analytical vigor to perennial and new policy issues in arts education. It presents analyses and recommendations focused on policy. AEPR is managed by the National Office for Arts Accreditation, The National Art Education Association, National Dance Education Organization, The National Association for Music Education, and American Alliance for Theatre and Education. AEPR is available to NDEO members at the reduced rate of $55/year. Please contact societies@tandf.co.uk to subscribe.